At AAA Power Wash & Roof Cleaning Services we sustain our business by Affordable Pricing, Attentive Care, and Astounding Results. We are experts in our trade and our commitment to our customers shows from beginning to end of the project. We look forward to earning your business. 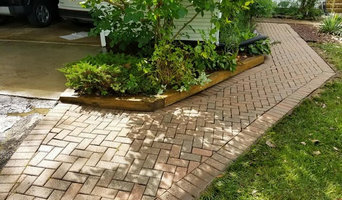 As the owner of ProClean Pressure Washing of Royal Oak, I believe that your Royal Oak area home or business deserves nothing less than the highest-quality power washing and soft wash cleaning. 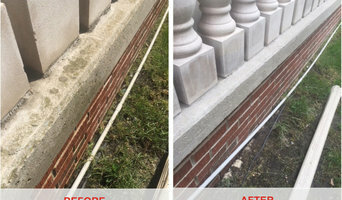 At ProClean Pressure Washing of Royal Oak, quality is job one, and we bring over 20 years of power washing experience to every property we service. ProClean Pressure Washing of Royal Oak specializes in a soft wash cleaning that is an excellent choice for exterior house washing, roof washing, gutter cleaning, window washing, and concrete power washing. Our soft wash systems dissolve years of grit and grime without damaging brick, exterior glass, roofing shingles, or concrete. You’re left with nothing but a beautifully clean home or office that looks its best and is in good repair! Whatever your needs for power washing your Royal Oak property, call the experts at ProClean Pressure Washing of Royal Oak today. We use high water volume soft washing. We will remove all algae, moss, mold and mildew from your home. We use environment friendly cleaning detergents. We are licensed and bonded. Every property owner faces the never ending problem of bacterial growth accumulating on their roof. It starts out as a small patch that will go unnoticed at first. However, over time the spores spread and begin feeding off the organic material embedded within the shingles. The crushed limestone that is used as a weight-additive during production has been proven to be a natural food source for the bacteria. The most common growth appears as a "Black Streak" which leaves your roof looking UGLY! 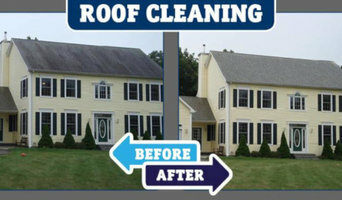 We can safely and effectively correct this common issue using our Certified Soft-Wash Roof Cleaning System. Gutters are an essential part of your home or business’s roofing, preventing water damage below and capturing falling debris. When a gutter is blocked by Debris, it functions very poorly at its designed purpose of allowing the water to drain away from your Roof and Home. Also, Leaf Debris breaks down from the moist, humid weather inside the gutter causing the acids in the leaves to start rusting away the gutter. This can lead to gutter seam leakages, backboard wood-rotting, staining of the outside gutter, and premature aging of your Gutter System. We recommend Gutter Cleaning at least once a year for most homes. Thank you for considering us to provide window, gutter, and pressure cleaning services at your home or commercial property. We will treat your property as if it were our own. We have been providing professional cleaning services to the Oakland County area since 1999. Our company is committed to quality, promptness, and professional customer care. 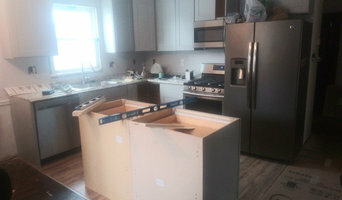 We guarantee that you will be completely satisfied with the work completed at your home. We pride ourselves on quality workmanship, professional employees, and efficient office staff. Delta Pressure Washing of Sterling Heights, MI provides you with a complete mobile power washing service. We specialize in residential, commercial, and industrial power washing. We have a team of professional cleaners to guarantee quality work. Our power washing cleaning services can restore any part of your home or business to its original condition. No challenge for our team of experienced cleaners. We are a full-service pressure washing, concrete brick power washing, recycled decking, gutter cleaning, wood restoration and more. We have the answer for mold, mildew or unwanted stains. Michigan House & Window Cleaning, Inc. has served the residents of Michigan faithfully for nearly 100 years. We take pride in the fact that we are invited into your homes again and again. We know that says something about who we are, and the quality of work we do. Our residential window cleaning technicians are uniformed, thoroughly background checked, drug screened, fully insured, in company identified trucks, with a friendly, neat and clean appearance. Would you invite anyone else in to your home? Contact us for a free estimate today! Saber Soft pressure washing is a better alternative than high-pressure washing. Has your roof developed ugly, black streaks over the years? You don't have to spend thousands of dollars replacing your shingles to have a good looking roof again. The professionals at Saber Soft Wash can remove the stains and streaks caused by algae, moss and other organisms and help protect it. 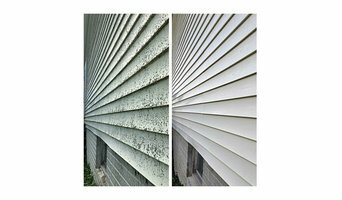 We can also help restore the look of your home's exterior, from vinyl siding and decks to concrete slabs. What do Walled Lake, MI exterior cleaners do? Exterior cleaning and preservation is such a crucial undertaking that some locations require professionals to have a license to practice. What kind of licensing do you have? Find exterior cleaners in Walled Lake, MI on Houzz. Search the Professionals section for Walled Lake, MI exterior cleaners or browse photos of completed projects and look for the exterior maintenance professional’s contact information.